Well preserved fossil of Carcharodon hubbelli which is thought to represent a transitional species between the Broad-Toothed Mako and Great White Shark. 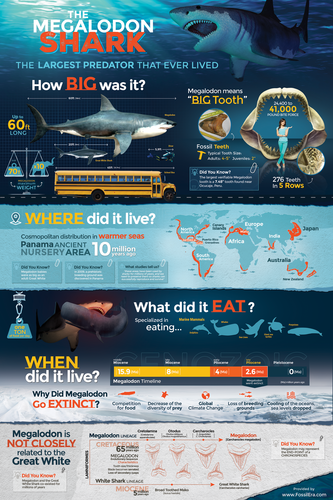 What Did The Megalodon Shark Eat? What is the largest Megalodon tooth ever found? what a beautiful fossil!! good luck everyone, that's a gorgeous specimen. I have shark teeth, but nothing this big! Megalodon Swag © 2019. All Rights Reserved.